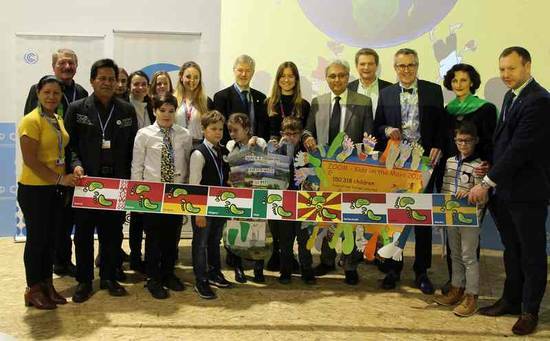 Over 150,000 children from all over Europe were once again collecting Green Footprints, Grüne Meilen, Miglia Verdi, Зелени Стапалчиња, Groene Voetstappen, Klimameilen, Zielonych Stóp, Grön Footprints, Zöld mérföld, зелёных следа etc. Further Information can be found via the sidebar on the left. 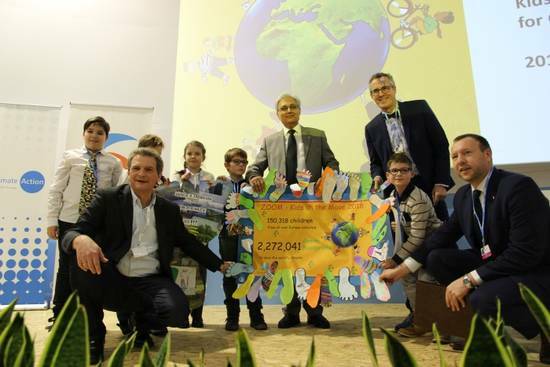 Together the ZOOM Kids collected some 2.2 million green footprints in 2018, once again a great success! This year's handing over was very spacial as it was webstreamed for the first time (start at 3:03:00). This means that all campaign participants have the opportunity to virtually attend the event. 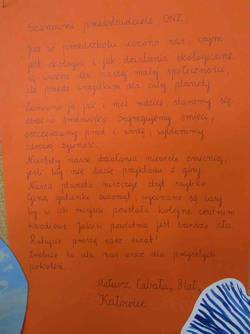 But the most important aspect were of course the children from school No. 15 in Katowice. 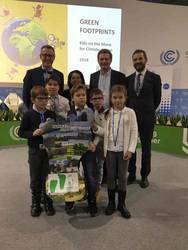 They helped to deliver the Green Footprint Poster to the UNFCCC Deputy Executive Secretary Ovais Sarmad. 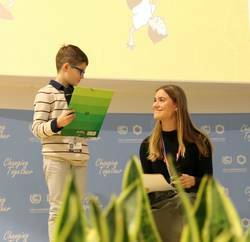 The eight-year-old Mateusz from Katowice showed particular courage by reading his letter to the UN delegates out loud. Thereby he was supported by Eefke van de Wouw, Dutch UN Youth Representative on Sustainable Development, who reported the English translation of the letter. 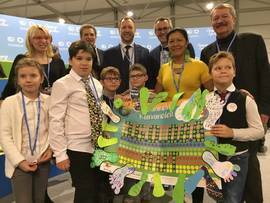 The children were accompanied by Mariusz Skiba, Deputy Mayor of the City of Katowice and by Andreas Wolter, Deputy of the City of Cologne and President of Climate Alliance. 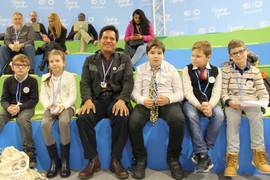 Robert Gimar Vasquez, President of FECONA, was also present at this year’s handover and addressed his greeting to the children. 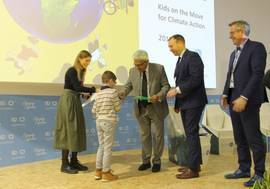 Cimate Alliance and all ZOOM Kids very much hope that all delegates did hear him and will bring COP 24 to a successful ending. To get a quick overview please have a look at the ZOOM Report 2018. 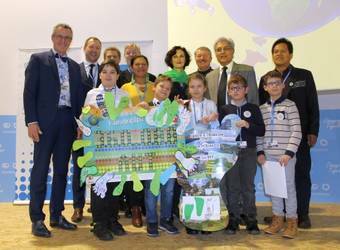 It illustrates in many pictures and short reports in English and the mother tongue of the participating country what special actions the ZOOM-Kids did this year to demonstrate their strong will to save our One World's Climate. The handover of this year's poster with the final number of the collected "Green Miles"